Clay is at its highest activity when moist, and should be renewed or replace after 2 hours. However, it can stay on for many more hours as long as it moist. Dried clay paste on the skin or coat is actually quite uncomfortable! If you are using the clay as a poultice and wish to use water, you can do so and then wrap the area (like on a leg for example) with moist paper such as toilet paper, and then cling wrap. This way the clay can stay moist for at least 2 hours, even more. When applying it, do it in a thick layer against the hair and then another thick layer with the hair. If using it on a wound or cut (open flesh), first clean the wound with an appropriate antiseptic solution like Betadine diluted in water or Lavender and Tea Tree essential oils diluted in water, or Calendula tincture. Then apply the paste directly on the flesh in a thick layer. If needs be, put a damp gauze and bandage the area. Change in 2 hours if possible (it can stay a lot longer) and repeat as necessary. Ensure the paste is well in/on the cut or wound. Due to the clay’s properties, the bandage and wound will look worse at the beginning, then the flesh will be very rosy, then some white flesh will appear around the wound. This is normal. After a while the wound will look clean and you will see healing. It will get worse before it gets better! If using on insect bites, grazes, scrapes or pimples, apply a little bit of paste directly on the area and leave uncovered. On minor burns, prepare the paste with coconut oil, then apply a gauze saturated with coconut oil first and then the clay paste. It is preferable to use coconut oil with burns so it stays moist all the time. It is also advisable to only leave the clay for 10 to 30 minutes in this case. Don’t forget to consult a vet for any injuries! Thoroughly clean your utensils for reuse. Check the tips on how to use the paste. The following article is from Argiletz Laboratoire in France. It explains the results of a study of Argiletz French green clay that was conducted on horses with open septic wounds. It outlines the antiseptic and healing properties of green clay on horses with open septic wounds. Compared with other studies we reviewed, green clay shows potent adherent properties which yield excellent results on wounds that are severe and difficult to heal, while many conventional antiseptic products fail to adhere to the skin and are drained away by biological secretions without any healing effect, resulting in persistent infection. Wound size is significantly reduced by the 15th day, demonstrating the effective healing properties of green clay. Horses are particularly prone to scarring problems, and a high percentage of them develop cheloid scars: in this study only one horse (6.6%) in the total population developed hypertrophic scarring (cheloid), confirming the powerful healing properties of green clay. The standard treatment for healing wounds includes prior disinfection with antiseptic products. This is not necessary if you are using green clay, as it is a natural antiseptic. Not only does this save time and money, but it also yields equal and sometimes even superior results compared to wounds that are disinfected with other products. Clinical studies show better results on large deep wounds, especially if oozing is present, compared to superficial wounds which can sometimes become irritated when exposed to long-term treatment with clay. Generally speaking, a longer period of time is required to allow for the proper healing of leg wounds, because of secretions and environmental contaminants such as manure, urine, sawdust, etc, which generate a higher risk of infection and contamination. In addition to the common complications that affect leg wounds, and when suturing is carried out in the best of cases, these sutures invariably split open and the wound heals by second intention. Using clay on clean wounds for a prolonged length of time (over 30 minutes) can sometimes cause skin irritation, something that doesn’t happen if wounds are contaminated. On deep contaminated wounds, clay works in a number of different ways while it is being absorbed. Thanks to its microscopic particles, it has the capacity to drain wounds of gas, toxins, micro-organisms and other pathogens. There is no contraindication to animals ingesting clay, as it can also be used to cleanse the intestinal tract. The potent hemostatic properties of Clay have been demonstrated on wounds presenting complications relating to blood vessels or significant haemorrhaging due to wound location. Animals do not manifest anger or fear when they are being treated with clay which tends to demonstrate it has an analgesic and pain relieving effect. The tension on the surface of the wound is an essential concern as it can interfere with the scarring process and alter skin structure, although leg wounds are not usually prone to hypertrophic scarring. One of the beneficial properties of green clay in helping with the healing process, is its capacity to regenerate tissue and soften scars thanks to its high content in silica, aluminium and zinc. It also gets rid of necrotic tissue thereby preventing the need for scar tissue debridement. See more evidence of wounds management with green clay. Homeopath Homeopathic Institute Luis G. Páez. It is common to see animals eat dirt or lick it. Some will rather drink from a mud hole than from a bucket with clean tap water. Clay is basically dirt with amazing therapeutic properties. So why would it be so strange to give clay to animals? 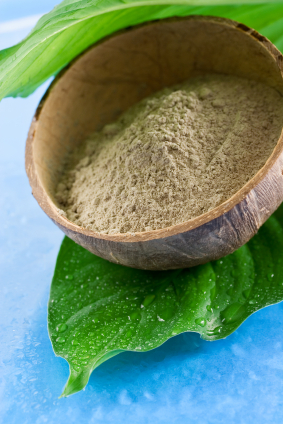 Bentonite clay, not only has many minerals and nutrients, but is also recognised to have therapeutic properties that are still not entirely explained by the scientific world. French green clay falls under this type of clay. One main property is that it has a high adsorption rate. Bentonite is used in many scientific experiments for that reason. In 1999, a Czech study shown that bentonite added to pig slurry removed 98.9% of psychrophilic microorganisms and 100% of mesophilic microorganisms. Bentonite is also used in snake antivenom preparations. Feeding clay to horses or dogs is not so strange once we understand what clay can do and accept that animals happily eat it themselves if they are able to and if they feel the need to. In 1990, a study done on sheep in Australia showed that giving between 15 to 60 g of bentonite clay a day increased wool growth by up to 25%. The study concluded that bentonite clay allows a greater flow of protein from the rumen to the intestines, which in turn promotes wool growth. Feeding clay to animals with bad hooves or feet as well as topical applications in the form of clay poultices have also shown improvements in their condition. In 1996, Hannon revealed in his thesis that clay fed to dogs as an additive to kibbles and mince demonstrated improvement of digestion, better stool formation and reduced faecal odours. There have been quite few studies on using bentonite to treat and prevent diarrhoea in calves. In one, 96% of the sick calves recovered and only 4 calves out of 240 did not get diarrhoea when bentonite was given as a preventative. In comparison, 127 calves out of 240 got diarrhoea in the control group. Bentonite given to ruminants has shown significant improvement in digestion. Smectite clay is used to treat and prevent colitis in horses. Plant poisoning and other ingestion of toxic matters can also be treated with clay as demonstrated by MacKenzie in cases of lantana poisoning in cattle in Queensland. Many studies have been conducted for humans in regards to poisoning by heavy metals, mushrooms, potatoes, herbicides, insecticides, mercury and all sorts of bacterial intoxications, with satisfying results in the use of clay as a treatment. Some of the studies mentioned above used clay in feed or as a slurry. Although it is, in extreme cases, certainly the most efficient way of using clay, it is recommended to only use the clay water. In a cup, add the recommended amount of clay, fill the cup with water – preferably source, rain or bore water as tap water has too many chemicals, stir and let it sit for 24 hours. When ready, pour the clay water, not the clay deposited at the bottom, into the animal feed. A course of clay as described above should be for 3 weeks on, one week off. Re-assess. Repeat if necessary but no more than 3 times. You should never use metallic utensils with clay as it negates its actions. An easy way (and probably the best) to offer clay ad-lib to animals is to pour it in one trough or bucket at a rate of 1 kg of clay per 100 litres or 1%. If using an automatic trough, the clay can be changed once a year since the water gets renewed as the animals drink from it. If using a bucket where the water is stagnant, you will need to change the clay approximately once a week based on the temperature/weather. The hotter it gets, more often the clay and water will need to be renewed as the water becomes stale. It is advisable to provide another water supply with no clay in it so animals have the choice. You will discover that they will only drink when they feel they need the benefits of the clay. This method is particularly suited for animals at grass (horses, cattle, goats etc) and also if their paddock contains plants that might be dangerous. Always seek advice from a veterinarian when an animal is ill.
“Role of Bentonite in Prevention of T-2 Toxicosis in Rats” J. Anim Sci., 1983. 57:1498-1506. Clay is not widely used in anglophone countries whilst in Francophone ones, nearly every household will have a packet in its cupboard. Clay is part of any good horse stud, agistment properties and equine rehabilitation places and is readily available in saddleries or produce stores in various forms. Green clay can be used internally and externally with animals and humans. I would not advise in forcing animals to eat green clay but instead to leave a container with water and few spoons of clay in it. They will drink the water if they feel the need to ingest the clay. Ingestion of green clay is said to help many affections in humans and pets. See Feeding Clay to Animals for more information. I have personally given clay to my dogs and horses as described above and they drank the water (also called clay milk) as they needed it. If you decide to give clay to your pet, it should be done for 3 weeks, then 1 week off, repeated as needed. Externally, clay can be used for ulcers and skin infections, burns, cuts, wounds, acne, blood circulation, inflammation, bruises, contusions, rashes, tendons injuries, arthritis, abscesses, muscular aches and pains etc. It is said that clay helps cells regenerate, enhancing healing and tissue formation, leaving the new skin supple and healthy. It is also said that it seems to “draw the pain out” providing great relief. Cheval Avenir – Sauvetage de Providence (Future Horse – Rescue of Providence) This is the site of a rescue organisation. This thread tells the story of Providence, a mare rescued from abuse and neglect who was destined to be slaughtered. This particular section of the thread shows pictures of Providence getting special treatments for her badly damaged legs using clay. The rescue was successful and Providence has now a peaceful and joyful life at the centre. 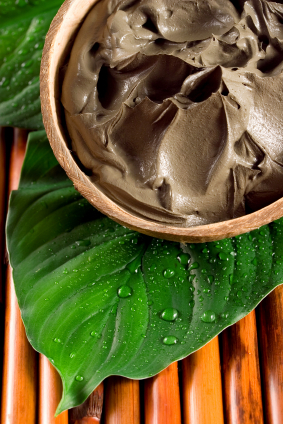 In external application, clay should be made into a paste, or mud, using water or oil like coconut or olive oil. Adding essential oils to it, depending on the requirements, may enhance its healing action. It is possible to use clay dry, like a talc. It is ok if your pet licks it and this is why you must only used ingredients that are safe for your dog or horse, or cat. For example, if you are making a clay paste with essential oils that, once applied, can be licked by your dog, you must only use essential oils that can be ingested by your pooch. Clay is easy to use with pets and is entirely natural.